The distillers of Bunderberg Rum are proud to release the 5th vat of Bunderberg Black, vat 70 - 1989. In 1989, vat 70 was specially selected to mature by Bunderberg Rum`s Master Distiller, Dr Lou Muller to create a rich smooth rum with a deep red glow reminiscent of the burning cane fields. Continuing the tradition of the previous 4 vats, each individually numberd bottle of vat 70, 1989, marks a moment in time that can never be repeated. 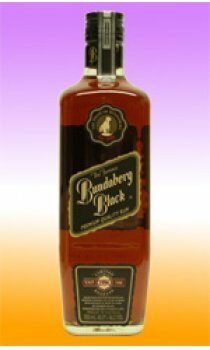 Distilled and bottled by Bunderberg Distilling Company in Queensland 4670. Truly a taste for the proper rum connoisseur, that\'s if you choose to drink it. Weather it be for a special occasion or a priceless collectible you really cant go past a bottle of 1989 reserve Bunderburg black rum. This rum is the ultimate of all rums. The smoothnes and the taste is something that words cannot describe. It is truly a magnificent rum and should only be drunk by serious rum drinkers that can truly appreciate the quality and finesse of this rum! Absolutely outstanding! Jodie.